Well, we’re still with Chris McDougall’s “Born To Run” – a few weeks later and back to real life, i haven’t had the moment to write another blog – even though i drafted it, and more, on that patio in Putzu Idu. You hear writer’s talk about discipline, well you certainly understand what they mean when you are trying to deal with life and write as well. Makes you wonder what miracles of creativity have been lost to the 9 to 5. Anyway – lets look at a few more gems from Born to Run. 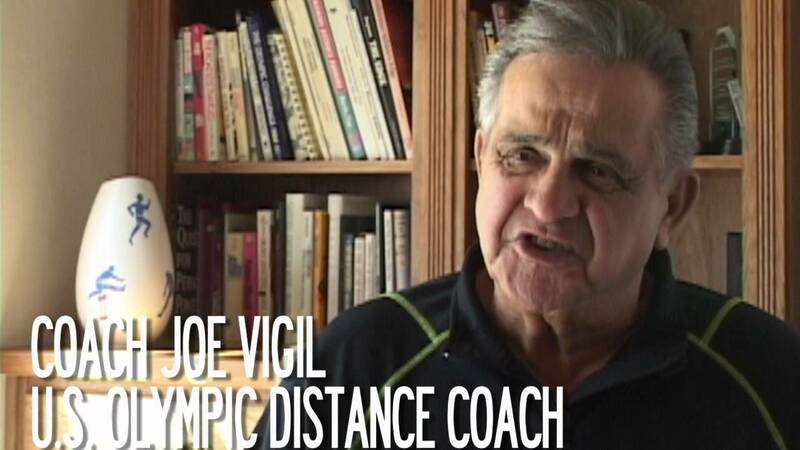 Firstly, there’s the information about Dr Joe Vigil, an extraordinary running coach who, Chris tells us, having learnt pretty much everything there was to know about the human physical body and what makes really great runners, had slowly come to the conclusion that something else was also at play. When Dr Vigil saw the Tarahumara running, he believed he’d found it. “Such a sense of joy”. “Glee and determination are usually antagonistic emotions, yet the Tarahumara were brimming with both at once, as if running to the death made them feel more alive”. Vigil believed character was the answer but by character he meant compassion and love – “That was the real secret of the Tarahumara: they’d never forgotten what it felt like to love running”. Vigil believed that there was a kind of connection between the capacity to love and the capacity to love running. He could well have been on to something; if our very existence is designed to run and be runners, if we owe our existence to that ability to run, then perhaps the secrets to the meaning of life can be unlocked by putting runners and running under the microscope. Unfortunately for philosophy, but to the benefit of runners, Vigil became too busy training American runners for the 2004 Olympic Games to pursue his insight. 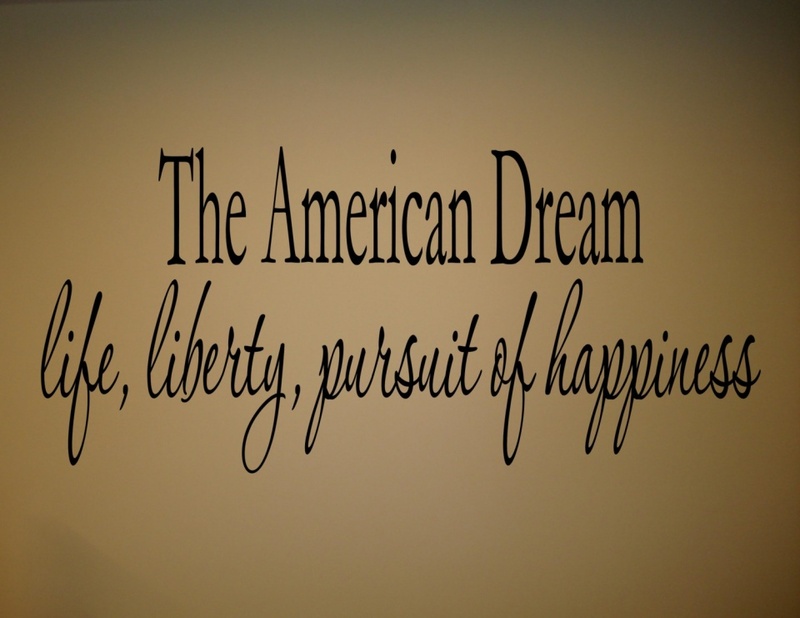 I’m not convinced yet that the answer to the meaning of life can be found in running, but one thing appears certain; running is the answer to the quest for good health, even perhaps, as McDougall suggests, the answer to the perpetual American quest, “the pursuit of happiness”. We’ve read before that happiness cannot be pursued, cannot be chased down like an antelope in the Kalahari Desert, but perhaps running can unlock those brain blockages which prevent us from being mentally quiet enough to recognize that happiness is within us – within us at all times. I’ve just finished another running philosophy book, Mark Rowlands’ amazing “Running with the Pack”, and this is a theme that he explores so i guess we’ll come back to it soon. There is at least one more gem in ‘Born to Run’. Here it is, “even though our brains account for only 2% of our body weight, they demand 20% of our energy”. I used to wonder why i was so tired, poor health aside, after a day in the office – especially compared to the long days of physical labour my father and mother put in as small farmers in beautiful Sligo in the west of Ireland. Chances are, if you are working your brain hard all day, it will demand an even greater percentage of your energy. Many of us know the difference between what we would refer to as ‘healthy tiredness’ which comes from physical exercise or work in a relatively pleasant environment, and ‘unhealthy tiredness’ which, in my experience, comes mainly from excessive mental work, a chronic imbalance in mental and physical activity and a lack of fresh air – that last might just be because i grew up in the countryside. So what is so spectacular about that you may be wondering. Well here’s the thing – along with the benefits of running, the world has become increasingly knowledgeable about the benefits of meditation, of quieting the mind. The explanation of these benefits can possibly be found in a simple energy balance – a quiet mind uses an awful lot less energy than an active one – why wouldn’t we feel better after 20 minutes meditation. Throw in the fact that meditation helps us turn off all those worries, concerns, self-doubts, fears and anxieties and it is no surprise that mediation has such marked health benefits. So here are the questions; Does meditation, gently settling into the quiet depths of your mind, just provide energy conservation and peaceful feeling benefits or is there more? Does experiencing the depths of our mind, the void in our centre, lead to a spiritual awareness and experience or do we just feel good because of the awesome physical benefits meditation provides? Does mental peace and quiet and the energy conservation of our brains feel so good that thousands have mistaken it for a spiritual experience down through the millennia? 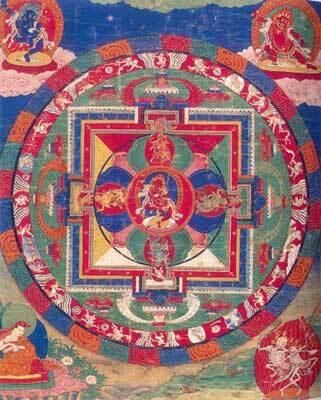 Does such a thing as a spiritual experience really exist? That for me is the ultimate question – Paradise or just peace and quiet? If there is paradise, if spiritual experiences really exist, if our purpose in life is unification with the whole, then i’ll happily forgo peace and quiet to find it, to experience it. And if i’m wrong, or just not up to it, i’ll settle for a unquiet life rather than for peace and quiet. 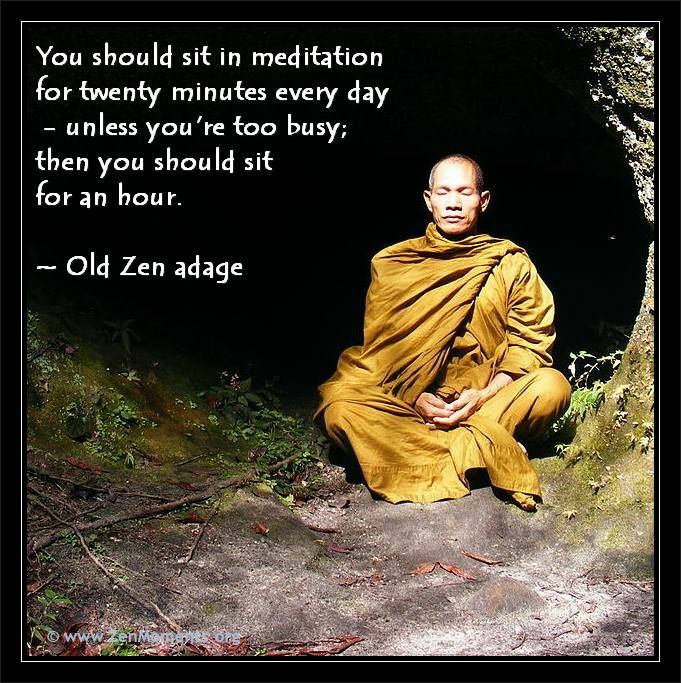 Don’t get me wrong, i am struggling as hard to meditate and practice mediation as i am to run and train. Two shots perhaps at the one target!